On 18 February 2015, the General Directorate of Customs (DGA) of the Dominican Republic officially opened a modern scientific laboratory occupying a site measuring 1,217 square metres in the city of Santo Domingo. The facility has an uninterruptible power supply (UPS), an emergency generator, kitchen facilities, vehicle parking and an area for unloading and receiving samples, and complies with the highest health and safety standards. Designed to improve the managerial efficiency, predictability and availability, within its remit, of the DGA vis-à-vis all external trade users and operators, the new laboratory is at the forefront of 21st century cutting-edge technology and science. The laboratory embodies the political will on the part of the current management of the DGA to implement the institutional reforms and modernization currently under way as part of the Customs 2013-2016 strategic plan. The role of the laboratory is not only to satisfy the analytical and inspection requirements for goods that are difficult to identify in order to determine the correct duties and taxes payable under the prevailing tariff structure, but also to provide high standards of protection for the public against the potential entry into the country of products that may adversely affect any aspect of human or animal health, the environment and natural resources. It is one of the most significant assets available to the country’s Customs administration. Prior to its establishment, the analysis of samples was conducted at laboratories in Mexico and Spain, as well as at national laboratories belonging to local universities, depending on the complexity of the case. The WCO was also consulted. The principal reason behind the DGA’s decision to construct the new laboratory was the pressing need to be able to analyse metallic and non-metallic mineral products, such as gold, silver, copper, zinc, iron, aluminum, palladium, platinum and europium, exported from the country’s mining concessions, that were complex to identify, both in terms of quantity and quality. Exhaustive controls of these substances are required upon export to determine component volumes which are of fiscal importance to the national budget. According to data published by the Dominican Geology Society (SODOGEO), the country is sitting on nearly 58 billion US dollars’ worth of unexplored reserves of minerals and metals. The Customs laboratory will also be an indispensable tool for the Dominican Republic to monitor compliance with environmental protection regulations relating to, for example, ozone-depleting substances, chemical weapons, heavy metals, persistent organic compounds and pesticides, and for the purposes of protecting endangered and protected animals, combating drugs trafficking, controlling chemical precursors, etc. Hence the importance to Customs of a laboratory of this status built to high specifications and incorporating state-of-the-art equipment. By being able to identify products through analysis, it will be possible to determine precisely the applicable fiscal regime and to improve the effectiveness of Customs controls on restricted or prohibited products, thereby preventing uncertainty, arbitrariness and, worst of all, fiscal evasion through Customs fraud – a very frequent occurrence in countries where imported goods are often not subjected to tests and sampling, especially in industries dealing with chemicals, food products, pharmaceuticals, cosmetics, textiles and metal products, among others. In addition, the Dominican Republic’s Customs laboratory will be an effective ally to the national agricultural, agrichemical, pharmaceutical and petrochemical industries, as well as to public and private institutions, as they will have a centre to which they can refer materials or substances for analysis when they have questions about the biological origin or composition of such goods. 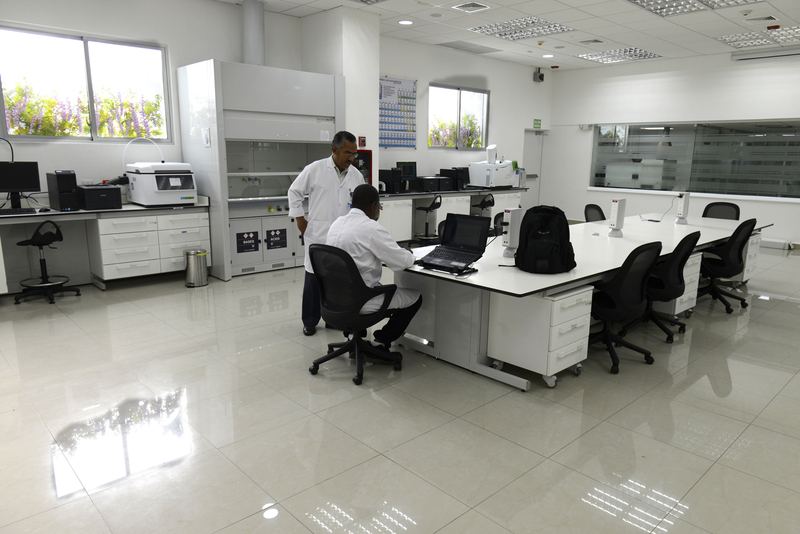 The laboratory was constructed using the DGA’s own funds at a cost of 3,573,024 US dollars – equivalent to 155,283,638 Dominican pesos, inclusive of construction works and adjustments to the physical facilities, technological equipment, fittings, etc. The DGA also drew upon advice from the Spanish Customs and Excise Central Laboratory of Madrid, which has been in operation for about 125 years and has a remarkable ability to keep pace with scientific progress necessary to tackle the increasingly complex challenges related to physical inspection of goods. The expert chemists selected to join the laboratory staff had to pass a series of tests to demonstrate not only their analytical expertise but also their specialist knowledge and skills in taxation and Customs legislation. They also received special training abroad in team management. All this was done with the aim of ensuring that this modern facility runs smoothly and delivers high-level results for the country. 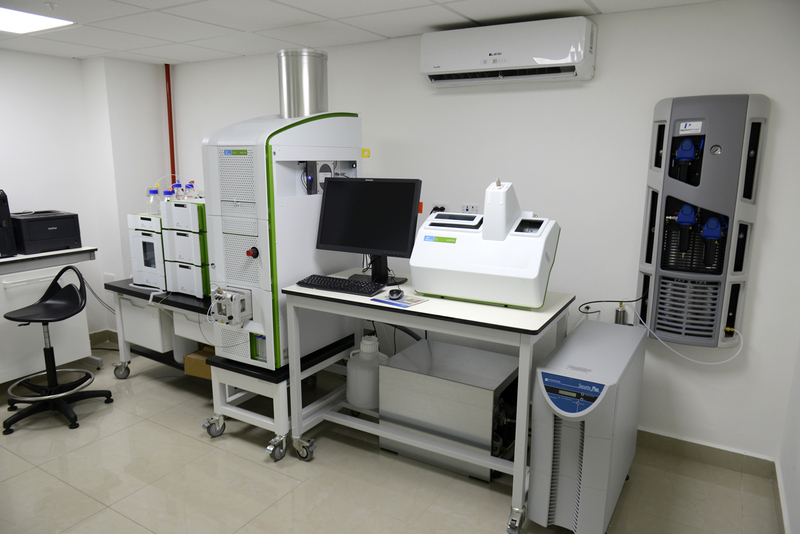 The establishment of the laboratory represents a significant step forward for the DGA in its process of institutional reform and modernization. It will also benefit the entire region, as the laboratory will be open to neighbouring Customs administrations and to regional and international bodies that require an analysis to be conducted of any product that is the subject either of a trade or classification dispute relating to its composition or specific properties.